Do you know a bride who loves adventure? When you are in charge of planning the perfect bachelorette party, think about the guest of honor. A bride-to-be who loves excitement and motion won’t want a typical affair! Throw a bachelorette party that you and your friends will remember for the rest of your lives. 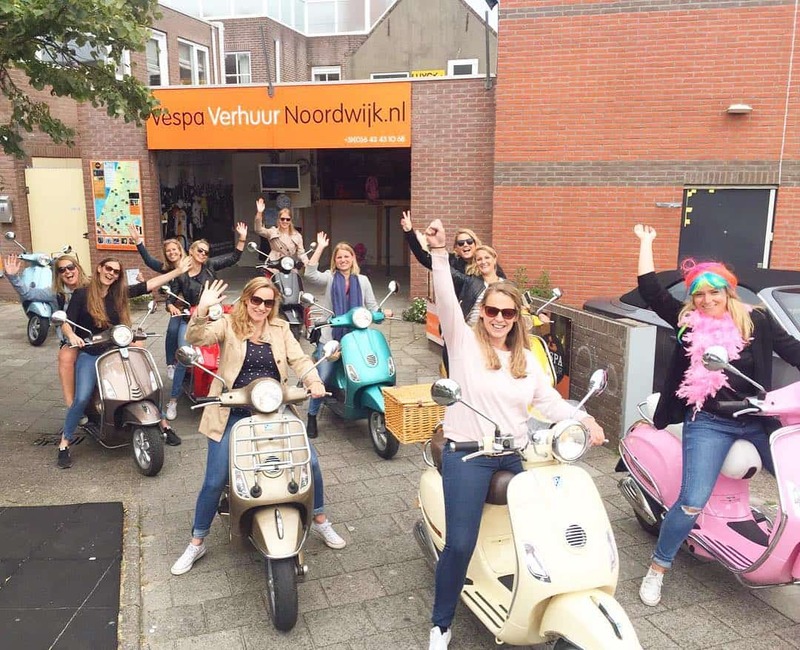 A group tour on mopeds, Vespas, or scooters could be just the thing! Many cities and scenic locations offer group rentals. Riding a motorized bike is exciting and something that many of your friends may never have had the chance to do! 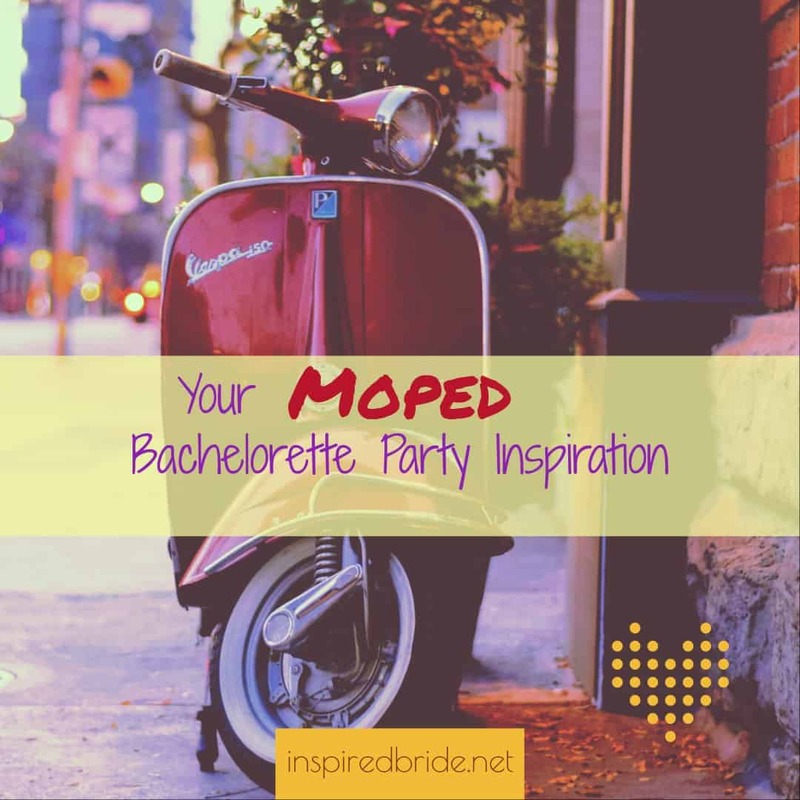 Here are some inspirations for your moped themed bachelorette party. There is something so fun about matching with your friends when you are out on the town! One of the best ways to do this is to get matching tops to wear while you are out riding, and keep them on as the party continues! Order one for the bride that sets her apart from the group. 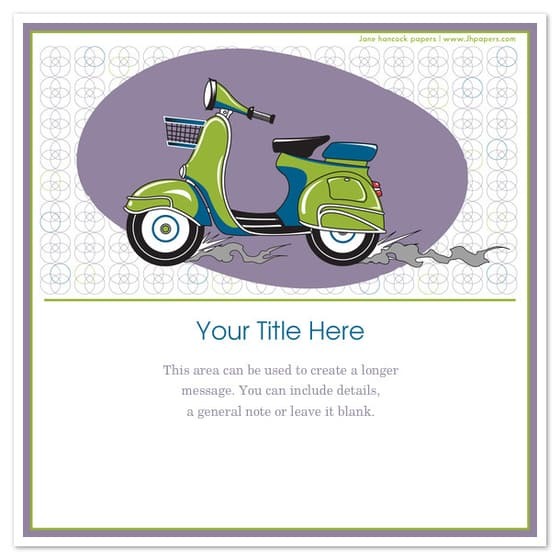 Send out an invite that includes your transportation theme. Celebrate your guest of honor as she “travels from Miss to Mrs”. 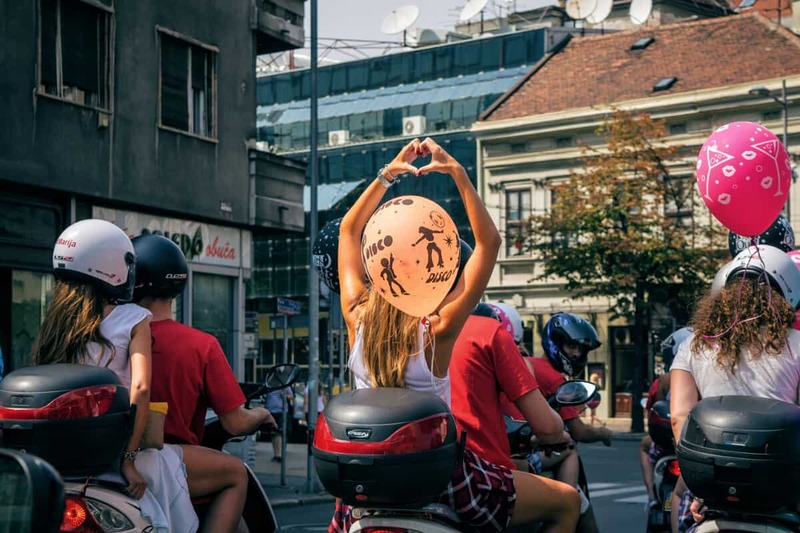 You can then include phrases like “come along for the ride” followed by the details of your event, and highlight the idea that you are sending a bride off on the “adventure of a lifetime”. Some tour companies will offer tour guides (the guys in red tee shirts above are guides and actually have little ties painted on the front of their shirts!). Bring some balloons to add more festivity to the event. Give out cute themed gift bags that will remind guests of the party long after it has ended. Since the bridesmaids will likely be a part of this bachelorette shindig,the bride will want to honor their commitment, time, and effort. The bride can help you decide what to offer party goers, as she will want to contribute to giving back to her bridal party. 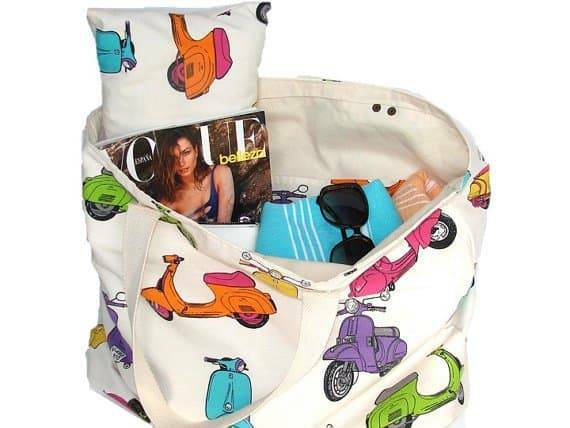 I love the moped tote in the photo above because it is so colorful and fun. You can find many Vespa inspired totes online, all with different vibes. This one can be ordered on Etsy! You could give also out moped magnets or figurines to remind guests of the fun that was had. Adorn the bride in a feathery boa, sparkly top, or a neon wig (that she can wear under her helmet), and give her a colorful bike! I love how the bride above has a boa that matches her beautiful pink bike! The most important aspect of the party that you throw is that you honor the bride, and give her a chance to let loose with her closest friends and relatives. Thrill a bride who loves adventure, fun, and excitement by giving her the gift of a moto tour with her closest girls. Everyone is different, and parties are definitely not one size fits all! A unique personality calls for a unique bachelorette party. Hop on a bikes and have a blast like the group of carefree ladies that you are! Do you know a bride who would love a party like this? Let me know in the comments below!